Sunon offers cooling modules with three types of configurations to choose from – a passive standalone heat sink, passive heat sink with heat pipe(s), and a heat sink with fan (also fan sink) with or without heat pipe(s) to the assembly. Cooling modules can be configured and customized to dissipate heat in a natural convection or forced convection depending on the system application. Extruded heat sinks are most common and widely used today because it provides a great range of natural convection for high power components and systems. It is also the most cost-effective. Extruded heat sinks are typically made with aluminum and each shape is engineered to achieve the optimal thermal and structural performance. Fan sinks provides forced convection with significant component cooling benefits. Designed with a fan attached to a heat sink base, this type of thermal configuration will increase localized air flow and improve thermal efficiency. The active fan sink enhances thermal performance in restricted space. 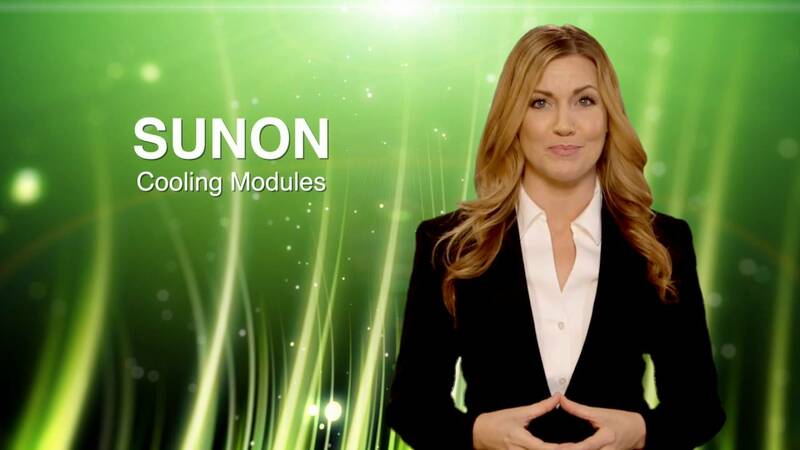 Sunon is the number one choice for optimal thermal solution because cooling modules should be customized and designed based on your system structure and thermal needs. We offer complementary design services such as thermal simulation, vent optimization, velocity profile, temperature and pressure distribution, and performance and testing analysis. Sunon has the ability to develop a customized solution for you. All we need is a 3D model of a PCB system. Once the design is finalized, the prototype sample can be delivered for evaluation in as little as 2-10 calendar days.